Another lovely week has gone by, and with it - new CrewFire updates! NOTE: Along with all these udpates, we’re excited to be offering FREE CrewFire trials for the first time ever! Most of this week’s focus has been on improving the sharing flow for Ambassadors. 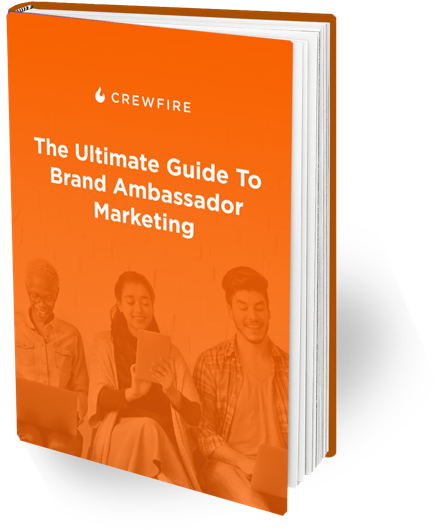 Our aim is to make sharing as easy and straightforward for your ambassadors as possible, so you get more shares of every campaign, helping you drive more impressions, clicks, and traffic. Some feedback that we’ve received over the past few weeks is that some Ambassadors were making posts for CrewFire, but not getting credit. Some of this was due to a lack of clarity around how we track and attribute posts for CrewFire campaigns. When an Ambassador views a campaign, we check that Ambassadors feed for the next 5 minutes, to see if they make the post (we limit this to 5 minutes due to API limitations from the social networks themselves). With this new countdown timer, Ambassadors are crystal-clear on how to share to get credit. To drive more engagement and shares, we are emphasizing points throughout the app more now. This includes in the header throughout the entire app, on campaign cards in the campaign list view, and now, in the individual campaign instructions view. Points give Ambassadors motivation, and offer a clear understanding of “whats in it for me”. With this renewed focus on points, we expect Ambassadors to share more content for you, increasing your awareness, clicks, and traffic from social media. Last but not least, we made minor aesthetic updates to the campaign sharing screen including padding and formatting tweaks, that make the page more user friendly, easier to read, and more aesthetically pleasing. Look for more formatting and aethetic improvements to make their way into the app over the next few weeks and months - a lot to come in this regard. This week, we created our first ever support/help desk article! Delivering faster, more helpful customer support will be one of my personal focuses for the coming year, and this help desk is a great first step in that direction. From now on, we’ll be able to document the best answers to common questions, and make them available in the help desk. Users - both Admins and Ambassadors alike - can search the help desk to find answers to their questions themselves, OR can these answers can be referenced by myself or others on our support team when replying to support inquiries. If you’re reading this on the CrewFire blog, it’s probably clear to you already - we updated our blog layout! We expect to be contributing more and more product updates, helpful guides, content, and more over the coming year, and we wanted a lovely home to put it all in. Our goal with this layout was to keep it super simple and readable, and we think we’ve accomplished just that. We’re looking forward to keeping this blog updated with more updates and helpful content for you. As always, feel free to reach out if you have any questions. You can hit the Intercom widget in the bottom right hand corner, or email us at [[email protected]](mailto:[email protected]).